3 Masters w/King, 1 w/King, 1 w/Queen & Bunk Set. Guest Linen Option. Bask in the sun on the beach at "Sun of a Beach"!!! 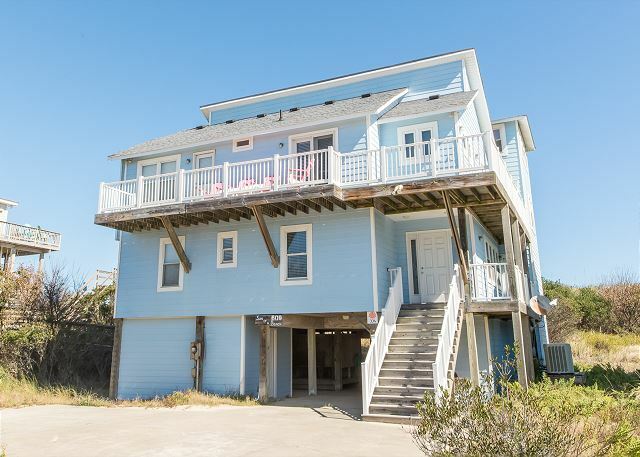 This oceanfront home offers excellent ocean, surf and beach views from the living area and master bedroom on the third floor. Enjoy the 37" flat screen TV for great enjoyment. 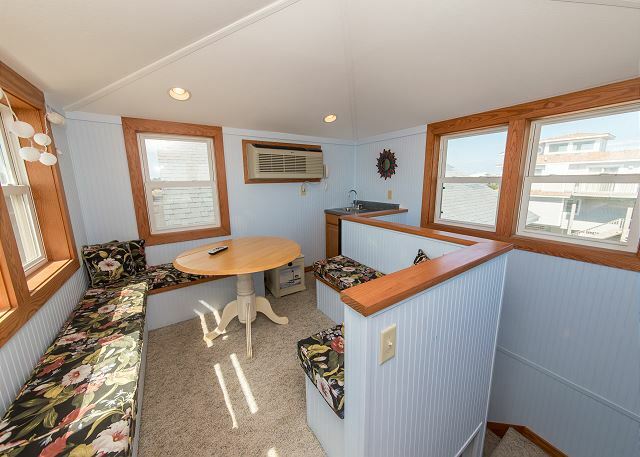 If you wish to feel the breeze in your hair step outside onto the sun deck overlooking the ocean and surf and relax in one of the Adirondack loungers. Have some time to yourself watching for whale and dolphin or join your pals for a hand of cards in the watch tower or shades deck. 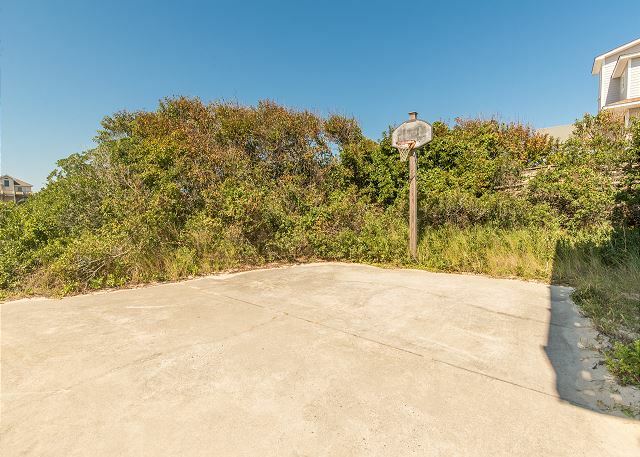 This private area offers panoramic views as far as you can see up and down the Corolla beaches as well as window seating, a card table for four, a flat screen TV and a wet bar to make it complete. 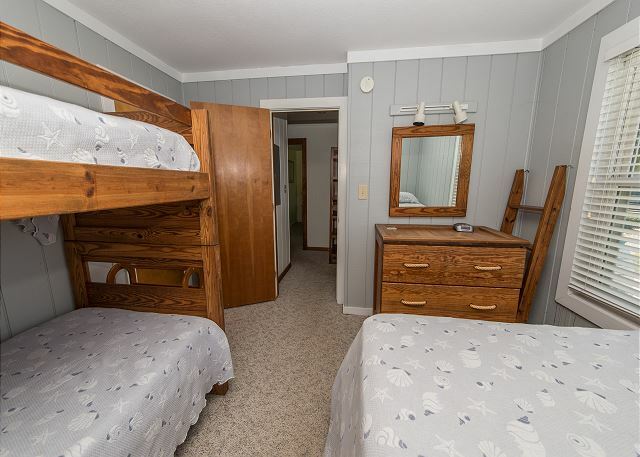 Two family rooms so you get away when needed. 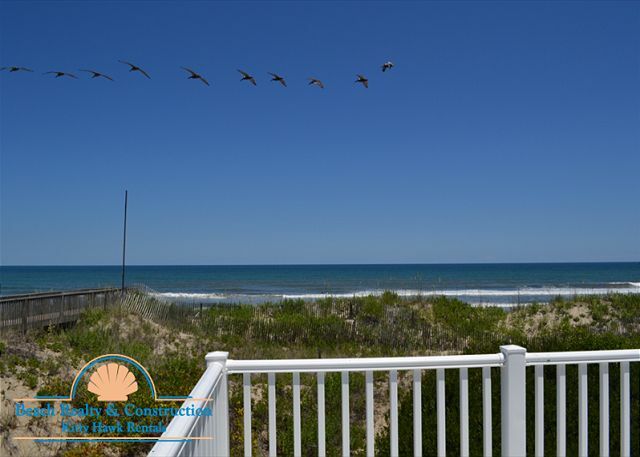 A boarded walkway leading from under the house leads you directly over the dune and 5 Yards to beach access right onto the beach. This is convenience at its best. This home is bright, spacious and airy. 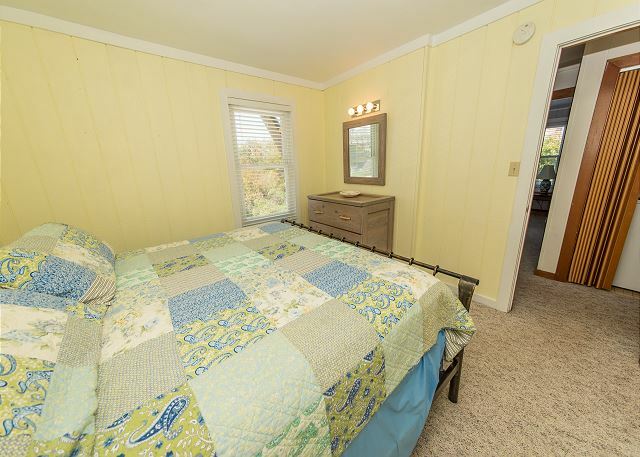 Perfect for a wonderful oceanfront beach vacation!!! 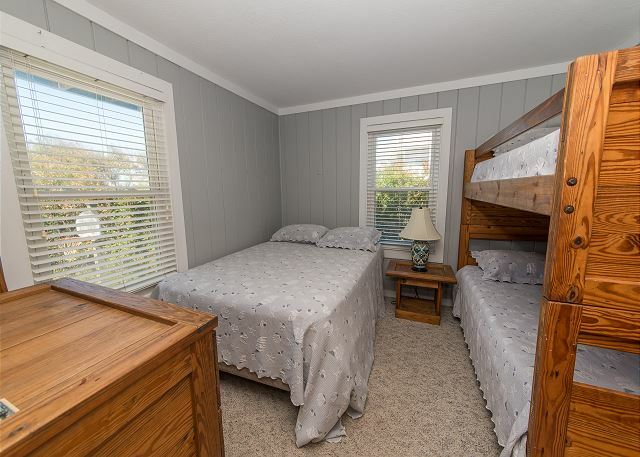 Outside: Parking for 5 Cars, Outside Shower, Charcoal Grill, Walkway to Beach beside House. Mid Level: Rec Room w/TV/VCR/DVD, Sofa and Love Seat, Master King Bedroom. Laundry Room. Full Bath. King Bedroom. Master King Bedroom w/TV. Bedroom w/Queen & Bunk Set. Upper Level: Kitchen Bar Seats 4. Dining Table Seats 8. Living Room w/TV/DVD. Full Hall Bath. King Bedroom. Office w/Stereo. 2 Sliders to Deck with Ocean View. Place was great! 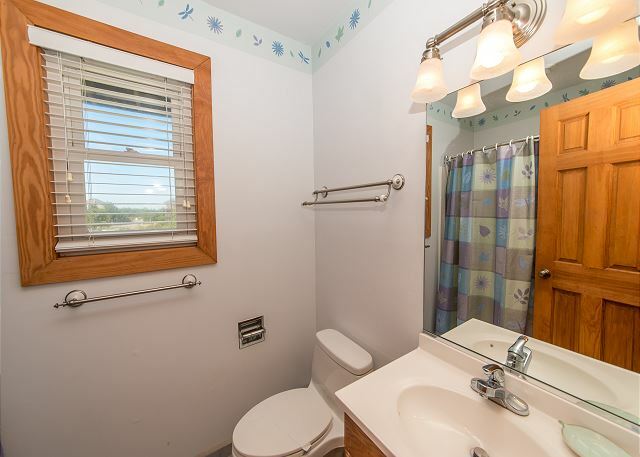 Loved the layout, a big family area and small privacy areas if you needed them. Designed for a family. Convenient to stores with the added benefit of a stop light allowing an easy entrance/exit on to the main road. Thank you for sharing your experience with us. We hope that you and your family visit us again in 2019! We loved the location of this house. There wa a beautiful view off the side of the deck and glorious sunrises. The beds were super comfy and it was great to have so many bathrooms. Shopping was a 2 minute drive away. The only criticism I could have was that the living room furniture does need replacement The chairs were quite worn and somewhat uncomfortable. Other than that, it was a great house.. we'd definitely stay there again. Thank you for sharing. You can catch some beautiful sunrises from this oceanfront property. Happy to hear you enjoyed your time here, we'd love to have you return! Very nice house that met our needs well. Upstairs furniture is a little worn and could be upgraded but it was very comfortable. 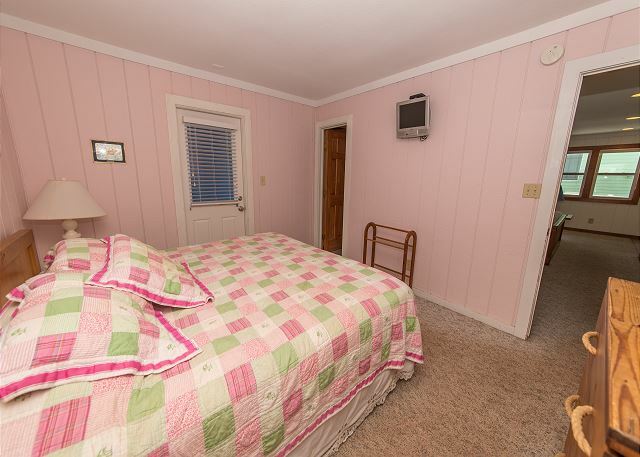 Ceiling fans in the bedrooms would be a good addition and the TV service could be improved. We couldn't get any TV but the one on the upstairs floor to work. Maybe written instructions on which remotes to use. Nice deck furniture. We enjoyed the week! Thank you for taking the time to leave a review. We are so glad this home met your needs and will pass along your feedback. Another great week on the Outer Banks with college friends--our 30th year! "Sun of a Beach" is a nice, spacious house for a few friends to gather, with a gorgeous beach-front panorama. Beach Realty/Kitty Hawk Rentals has been a reliable source for good, clean, and accurately described rental homes over the years. 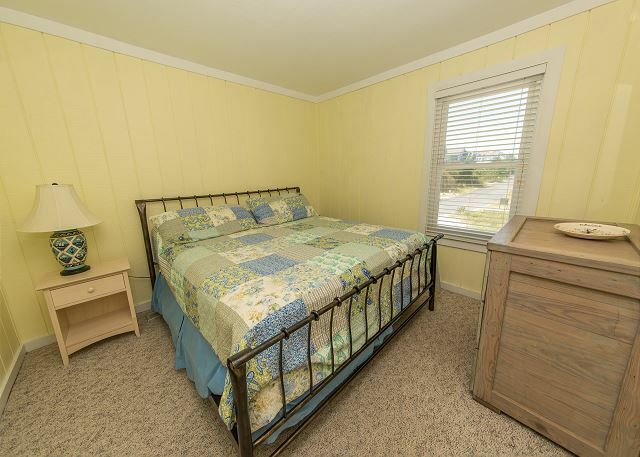 This home needs a little sprucing up of the living room furniture, and the master bedroom platform bed is a tripping hazard that bashed our shins several times, but the home more than makes up for those negatives with easy beach access, lots of space, and a quiet crow's nest room. Thank you for taking the time to provide us feedback regarding your recent stay at "A Sun of a Beach". 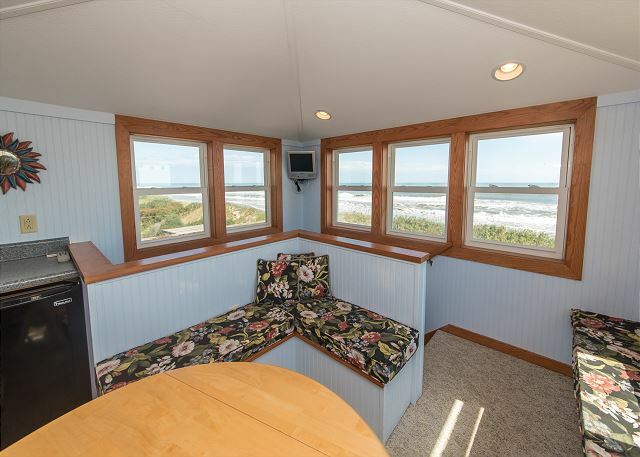 We love this house; the view is fantastic; proximity to beach can't be beat. All of the beds are comfortable and the kitchen is well stocked! So glad you enjoyed your stay. See you in 2016! The house was just as described. We immediately felt welcomed and comfortable. The house was clean, well maintained. The view beautiful, the walk to the beach short and just as described. The beach is clean and uncrowded. The rental staff is very professional, helpful and friendly. This home has very special meaning to our family, as it was where my husband and I started dating 17 years ago. We just celebrated our 15th wedding anniversary and what better way to celebrate than to come back with our kids!!! The home was even more beautiful than we remembered and the upgrades really added to the home. Loved having the private deck to scoot right over to the beach. The home was clean and well maintained with lots of kitchen tools/pans to cook with. This was our BEST vacation down here yet!! Wow, what a great story! We're so happy to be a part of it. Hope to see you again next year. 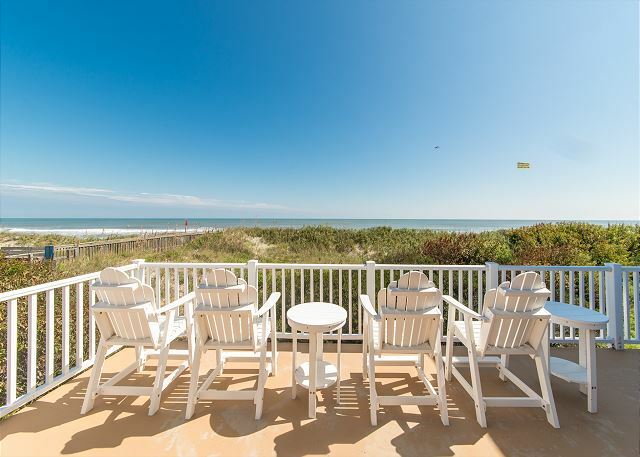 A Sun of a Beach is one of our favorite houses to rent. The ocean views from the deck make late afternoons my favorite time of day. Park your car at the house and leave it there for the week. Walk across the street to the grocery store or better yet get in line for Duck Donuts! The new sidewalk spanning all of Ocean Sands allows you a safe way to walk or bike to Tim Buck II. The living room furniture needs to be replaced and some repairs need to be made in the bathrooms. Overall this is a great house for small groups. Thank you for taking the time to post. That new sidewalk is fantastic! We'll pass along your comments to the owner. We hope you'll be back for more views and donuts. Great house for a small group! The view is fantastic! Living room furniture needs to be updated but it is clean and functional. Thank you for your comments. I will pass them along to the owner. We all had a wonderful time in our beach home for the week. 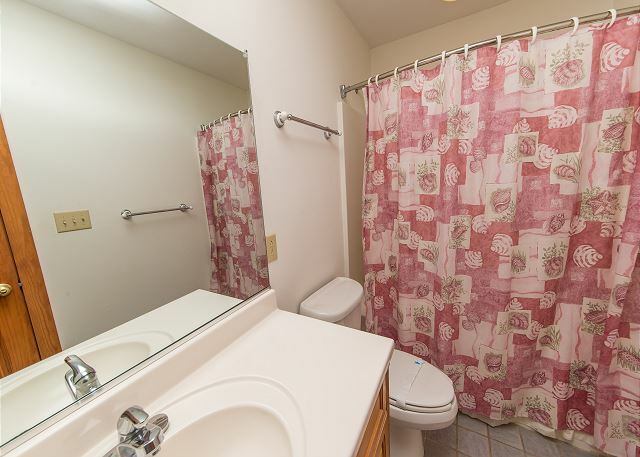 It was spacious, had all the amenities we could possibly need and the area was convenient for shopping. Our overall experience was a top 10! Great! That's what we like to hear. Thank you so much for your comments.